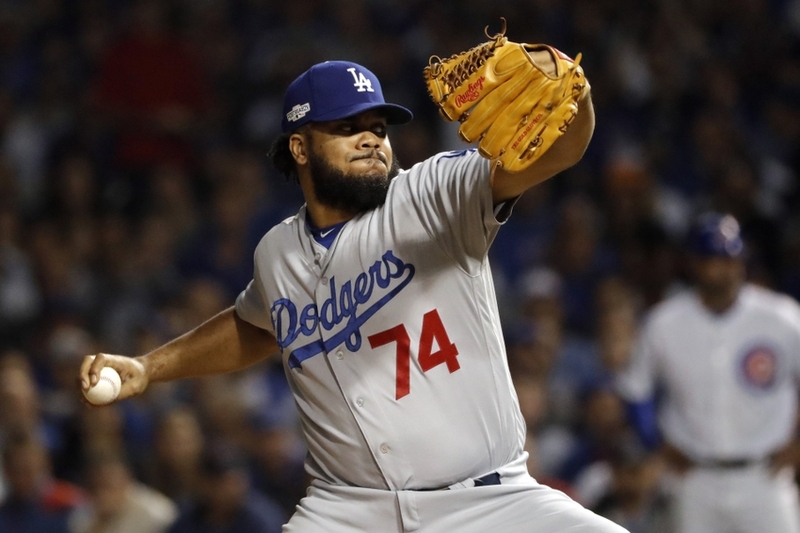 The Miami Marlins are setting their sights high this offseason, hoping to sign closer Kenley Jansen to lead their bullpen. The Miami Marlins had a rough second half this season. They are looking to put together a strong bullpen for a deep run next year. According to Jon Heyman of FanRag Sports, Kenley Jansen is the team’s top target in free agency this winter. They hope to put together a super pen for next season, since there are not a lot of great free agent pitchers on the market. There is one thing that Miami has over other teams going after Jansen: location. Jansen is from Curacao and might like that he could be closer to home. This might be an advantage for the team if they decided to go after Cuban native Aroldis Chapman as well. Jansen, 29, had a tremendous season with the Los Angeles Dodgers last year. In 68.2 innings, Jansen held a 1.83 ERA, while striking out 104 batters. Those numbers gave him an amazing 13.6 K/9, with only a 1.4 BB/9. He racked up 47 saves and had a career best 0.67 WHIP. Not to mention he also made the All-Star team for the first time. He led the Dodgers in owning the best bullpen ERA last year at 3.35 in a league-leading 590.2 innings pitched. The Marlins are hoping they can build a bullpen to be just as successful next season. The Marlins ranked 14th in baseball and eighth in the National League in bullpen ERA in 2016 with a 3.63 mark. That number will need to improve if the team wants to make a run in 2017. A.J Ramos and Kyle Barraclough showed that they can be consistent in the back of the bullpen but they need help. Jansen would be the addition that the team really needs. Jansen also proved that he could pitch well in the postseason. In the NLCS, he did not give up a run in 6.1 innings. He proved that he could come into the game in key situations, not only in the ninth inning, and get the outs that the team needed. Only Chapman and Andrew Miller have proven that they can also do so. With Jansen being so versatile, he will not be a cheap get this winter. The Marlins need to improve in all three facets of the game in 2017. It all starts with your bullpen in today’s game of baseball. The Marlins will do all they can to sign Kenley Jansen this winter before another team can get a hold of him. Jansen is a huge name to watch this offseason.